On a mission to soak up every little bit of the summer season ahead of us, I recently invested in a popsicle mold. The joys of adulthood right? I figured making our own frosty treats would be a great way to beat the heat and save money on those pricey ice cream runs. 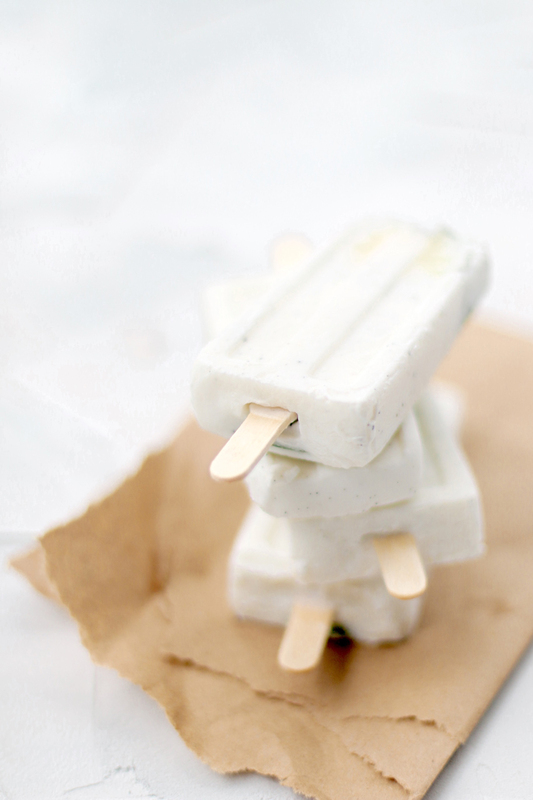 But homemade popsicles can be a way to make sure we’re getting our fruits (and veggies too, I suppose) into our bellies. It’s been a lot of fun researching recipes, pairing together different ingredients, and of course testing the popsicles once they are frozen and ready to devour! Andrew loves virgin mojitos and I’ve been itching to use up some of the mint that’s grown like a weed in our garden. Additionally, since I recently gave up dairy, it’s been fun to find ways to incorporate different dairy substitutes into the things I love most like my lattes and desserts. 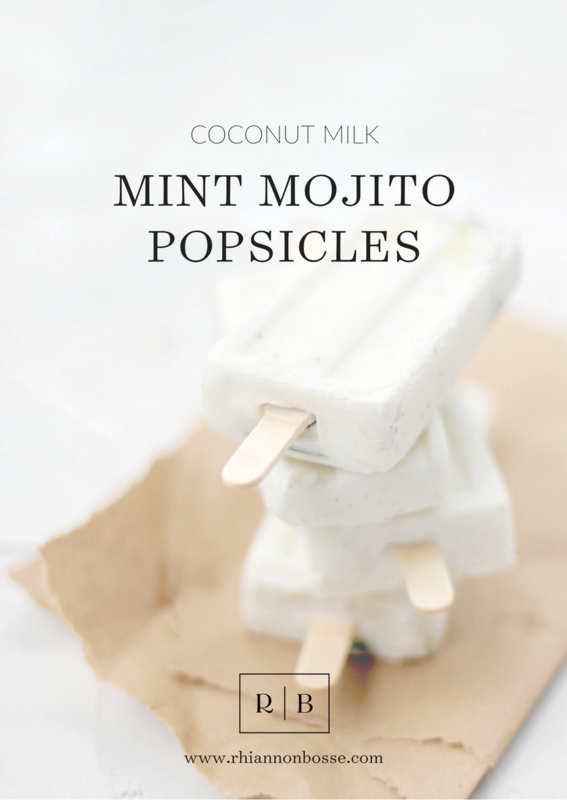 So after a little research and some sourcing, I doctored up a recipe for mojito popsicles and the end result was truly delicious. I cook often with coconut cream from the can so using the same cream in this recipe was a no brainer. The coconut cream is so rich and indulgent, and the zing of the lime and freshness of the mint compliments the creaminess perfectly. 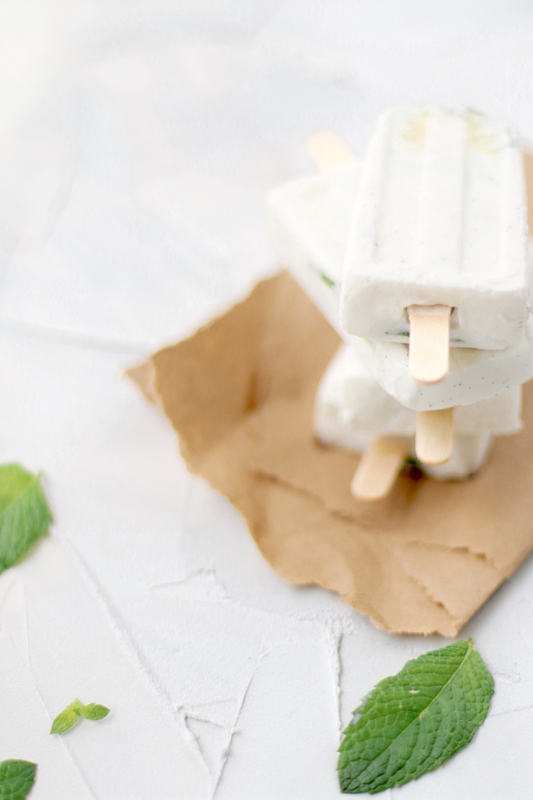 Plus, the neutral color of these mojito popsicles complete with those beautiful specks of vanilla bean seeds scattered throughout is so pretty and enticing. The lime slices in the middle of the popsicles are a fun surprise but you could leave those out if you wanted to chomp through these without having to lick around the sour slices of fruit (which I personally liked; Lachlan not so much). Also! We grew chocolate mint in our garden this year and Andrew loves anything chocolate and mint flavored so I’m thinking of creating a twist on this recipe using melted chocolate and chocolate mint. I think the sweetness of the chocolate with the freshness of the mint would be something even I could love so I’ll report back with that recipe if it works out. Combine everything except the thin slices of lime into a small sauce pan and simmer over low heat for five minutes. Remove from heat and let stand covered for 20 to 25 minutes until all of the flavors combine together. 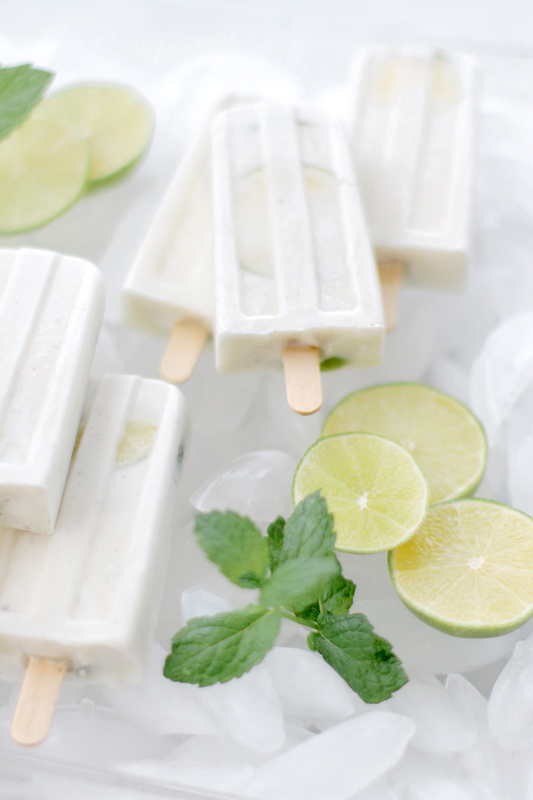 While the mixture cools, fill your dry popsicle molds with the thin lime slices, about 2 to 3 slices per well. Strain your popsicle mixture through a mesh sieve, discarding the pieces of mint and lime zest, and pour the remaining liquid equally into your wells (I was able to fill 7). 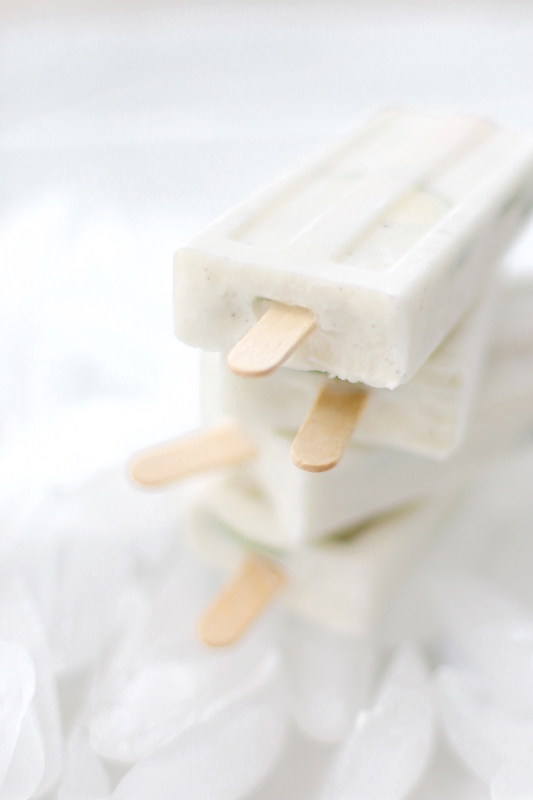 Place your popsicle sticks and freeze overnight. Enjoy! * To make your own simple syrup, combine 1 cup of water and 1 cup of white granulated sugar in a small saucepan over medium heat. Stir occasionally until all of the sugar is dissolved. Use once the mixture is cool and store leftovers in a seal tight jar for up to a week. For more sweetness add more sugar or to make a bigger batch of simple syrup use the simple 1:1 ratio of water to sugar. i am dairy free too, but struggle with something creamy for my coffee. what do you use? i like almond milk but miss 1/2 and 1/2 and it’s creaminess! Sounds delicious. So no I am wondering where I can buy pedicel moulds locally (I live in Stockholm, Sweden so I am NOT expecting you to solve this little problem!). Basically, I am inspired and want to give it a try. Thank you for sharing.